Last month Old Bike Mart raided Mortons’ vast motorcycling archive to re-run road tests on a couple of non-Villiers-powered British two-stroke twins – a 250cc 1951 Excelsior Talisman Twin and a 322cc British Anzani-engined Cotton. That same article made reference to the Val Page-designed two-stroke twin at the heart of the sensational Ariel Leader of 1958 – and this month we’ll concentrate on the rise and fall of this icon of the British motorcycle industry and its more sporting Arrow counterparts, and how the weekly motorcycle press of the day received them. 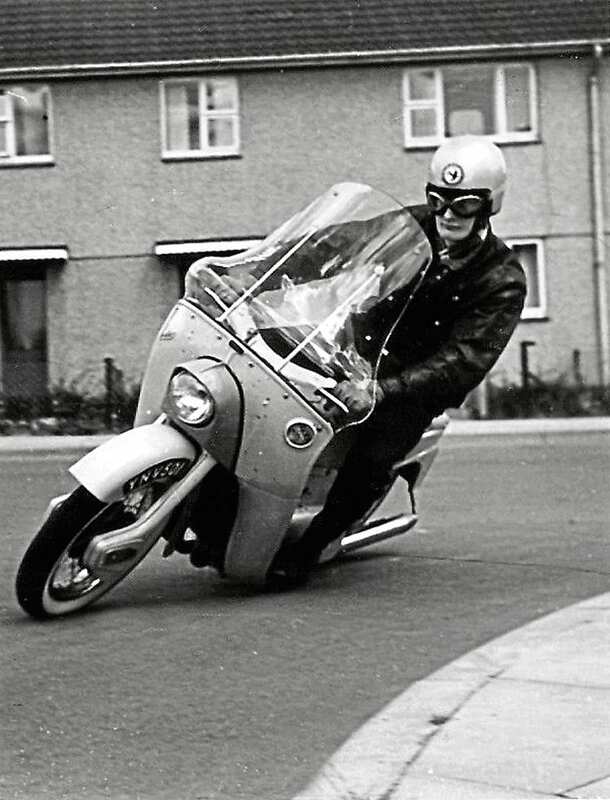 More than 60 years on, it’s difficult to imagine what impact the launch of the innovative Leader had on the then-massive British motorcycling public. My first sighting of one, as I waited for a bus home from school one sunny afternoon, left an indelible impression as it hummed by with its beautiful flowing lines, bright two-tone colour scheme, whitewall tyres and built-in flashing indicators. 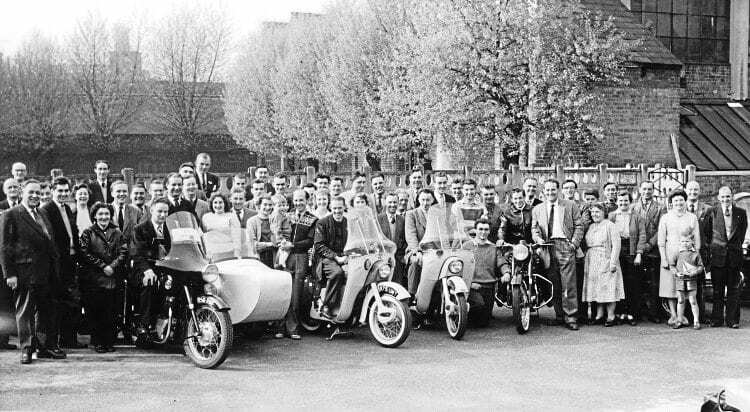 Received by The Motor Cycle on May 12, 1959, this nostalgic picture of an Ariel Owners’ Club gathering shows that some members were already hooked on Leaders! Modern, clean and comfortable, it was intended to bridge the gap between the then-growing popularity of the scooter and the evergreen virtues of the traditional motorcycle – but by the time it appeared in the motorcycle dealerships its fate was already sealed, not just by the launch of the Mini car in 1959, but also by the unstoppable force of the Japanese motorcycle invasion. If only the Leader had made its debut in 1955 rather than 1958! The Leader and Arrow were written about several times during my editorship of OBM, and in October 2014 I was astonished to find that The Motor Cycle of July 17, 1958 had devoted an unprecedented six pages and no fewer than nine painstakingly created technical drawings by John Ferguson to describe the flamboyant newcomer. Ground clearance was something of an issue, with the main stand hitting terra firma with relative ease. “Seldom since the earliest days of motorcycling can a new model have embodied quite so much novelty as does the 249cc Ariel Leader,” wrote the Blue ’Un. “In laying out this aptly named two-stroke twin, chief designer Val Page and his team were given that dream of all designers – a completely free hand! “The only stipulations were that the machine must be an ultra-modern two-fifty with built-in weather protection and a lively but refined performance. Provided the model could be marketed at a competitive price, any method of construction they chose could be employed. “Here was an opportunity not to be missed, and great credit is due to the Ariel directors for having the enterprise to present it. All praise, too, to the design staff for tackling it from first principles and refusing to adopt established methods if the unorthodox offered better prospects.